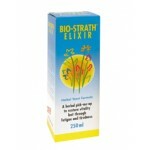 Bio-Strath® is a balanced formula derived from the active principles of live herbal yeast which has been treated by a unique biological process producing a herbal yeast complex rich in vital nutrients. For many days, live active Saccharomyces Cerevisiae yeast is cultivated on the following wild herbs: angelica, balm, basil, caraway, chamomile, cinnamon, elder, fennel, horseradish, hyssop, lavender, liquorice, parsley, peppermint, sage and thyme. 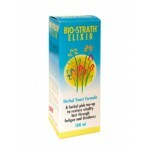 By the special process of plasmolysis by fermentation, without the use of heat or chemicals, the herbal yeast cells are burst open releasing their valuable nutritionally vital substances. Fatigue and tiredness can affect our daily lives and symptoms may include poor concentration, lack of physical or mental performance and feeling weary. 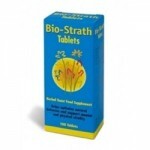 Bio-Strath specifically strengthens resistance, accelerates health, speeding up the recovery time from colds, flu and other similar illnesses and strengthening your immune system.